Most observers believe that ‘democratic rule of the game’ provide a peaceful means for resolving political conflicts. But albeit the ample research being done on the relationship between democracy and terrorism, there seems little agreement on its nature. Some scholars argued that democracy discourages terrorism by reducing the appeal of violence as a means to pursue political objectives and providing a political environment in which despotic rulers can be toppled by free and fair elections, and social change can be achieved via the ballot box. However, some have argued otherwise that democracy in actuality, encourages terrorism. The free environment in democracies somehow encourages certain ‘marginalized’ groups to seek further liberty by resorting to violence. Democracies are thought to create incentives for inter-group competition, thus encouraging violence in addition to reducing the cost of terrorist activity via constraints on the executive branch’s ability to take counterterrorism measures. Thereby democracies are thought to have weak spots that are easily exploited by terrorists. This roundtable discussion will then dissect the issue further and look at the intricacies of the link between democracy and terrorism and most importantly tries to answer the question whether democracy is the best defense against terrorism. Professor James Piscatori is a leading scholar of political Islam at the Centre for Arab and Islamic Studies at the Australian National University. He has worked at several universities in Britain, Australia and the United States. In Britain, he was Fellow of the Oxford Centre for Islamic Studies and Fellow of Wadham College, Oxford; Professor of International Politics in the University of Aberystwyth; and Associate Profesor in the School of Advanced International Studies of the Johns Hopkins University. He has also been Senior Fellow at two research institutions — the Royal Institute of International Affairs in London and the Council on Foreign Relations in New York. 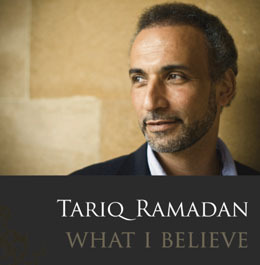 He has served on several international collaborative committees such as the Committee for the Comparative Study of Muslim Societies of the Social Science Reseach Council, and was co-editor of a series on Muslim Politics for Princeton University Press. Professor Piscatori’s work has centred on two themes: Islam and international relations; and Islamic political thought, particularly as it relates to democratisation in Middle Eastern societies. Area focus has been principally, but not exclusively, on the Arab states of the Gulf. Recently, he has been working on pan-Islamism and Islamic transnationalism, and specifically investigating the contemporary meaning of the ummah (community of the faith). Emeritus Professor Datuk Dr. Shad Saleem Faruqi is a Professor of Law who has served Universiti Teknologi MARA (UiTM) in Shah Alam, Selangor in various capacities from 1971 onwards. He specialized in Constitutional Law and Human Rights issues. He is the author of Human Rights, Globalisation and the Asian Economic Crisis, Islam International Law and the War Against Terrorism, Islam, Democracy and Development, Document of Destiny: The Constitution of the Federation of Malaysia and “The Bedrock of Our Nation: Our Constitution”. He is the co-author of Media Law & Regulations in Malaysia and Co-editor of “Decolonising Our Universities – Towards a Non-Eurocentric Paradigm”. He has contributed over 350 articles to legal periodicals, anthologies and newspapers and has presented over 300 seminar papers in 15 countries including the US, UK, Australia, Germany and Japan. Professor Dr Rashila Ramli is the Professor of Political Science and Director of the Institute of Malaysian and International Studies (IKMAS), Malaysia. Her areas of specialization are Political Development, Human Security, Gender and Politics, and International Politics focusing on Global Governance including Governance of the South China Sea and its implication on ASEAN.